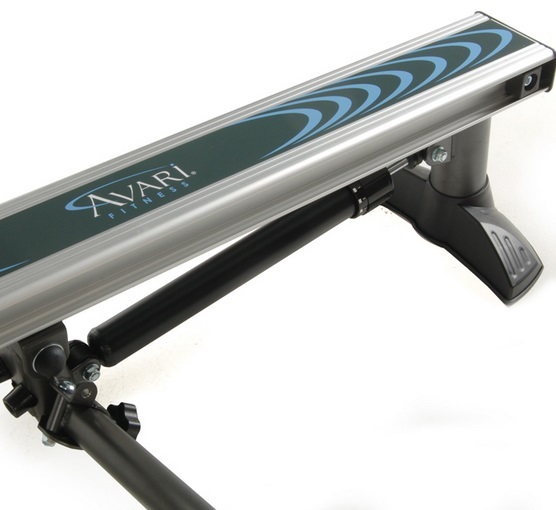 ﻿The official name is Stamina A350-500 Avari Free Motion rower, but hey, life's too short so from now on we'll just call it the Avari Free Motion :0) Besides, we couldn't figure out what the numbers meant anyway. Not sure why some of these models have such complicated names - especially when it's a basic model. Or perhaps that's the thinking behind it as it makes it sound better. Anyway, enough of our rant on one of out pet hates. What about the rowing machine? What do they mean by 'Free Motion' and will it get you fit? Let's deal first with the dull stuff like unpacking and assembly. It's surprisingly straight forward to put this one together and you don't have to be a master mechanic to do so. And once you've attached the seat you're ready to go. A word about the seat. It's a vital part of any rowing machine because you're going to be sitting on it for long periods so it has to be comfortable. This isn't the worse seat we've experienced, but then it's definitely no where near as comfortable as others in a similar price range. It is a sculptured seat (see right) but it's a little too hard for most and needs extra padding. You can use a thin layer of foam to improve the situation, but a adequate seat is something that even a budget model should be capable of delivering. The rowing position is okay. The angled beam helps with the easy return from the end of the stroke, but it may be a little low for some. However, if you're over 5' 10" you'll find it difficult to use as you won't be able to complete the full stroke due to he shortness of the rail. 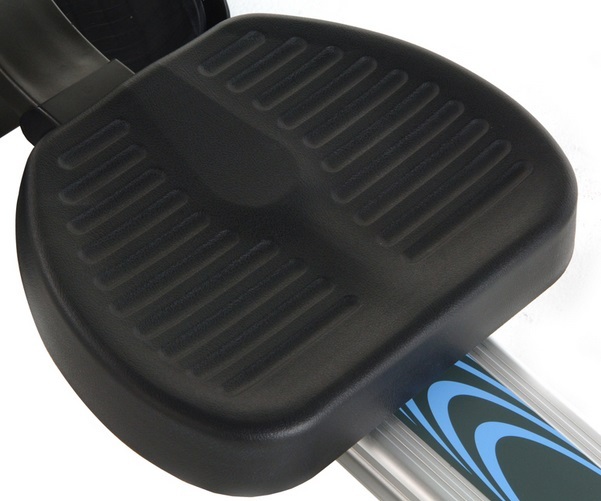 The rowing action uses handles that replicate oars from a rowing boat. Some like the 'real' feel of this action, but it's not the easiest action to use on a small model like this and really doesn't make any difference if you're just looking for a cardio workout. The footplates are something that if the manufacturer gets wrong can really mess up the whole machine. If your feet slip or come loose you have to stop - it's impossible to row if your feet aren't secured in place. 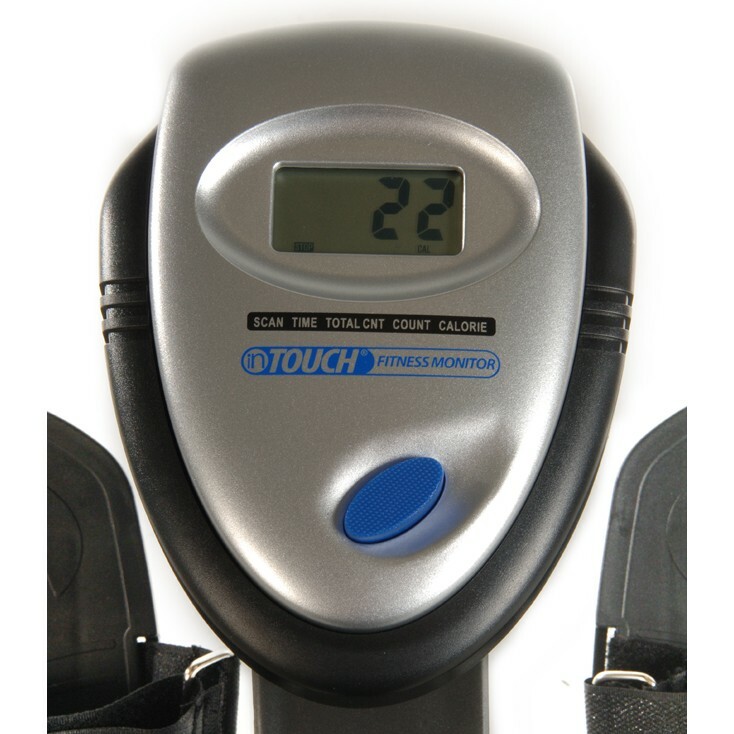 The Free Motion rower's footplates are just about adequate but we feel the straps may not last passed 12 months and would need replacing. So onto the all-important resistance mechanism. As you would expect with a model costing as little as this one, it's a hydraulic model. There is a single piston below the beam (see right) that has a collar that can be twisted to change the resistance level. However, with all pistons this can suddenly get looser mid-workout as the oil in the piston heats up. You can of course stop and adjust the resistance, but this is a pain and interrupts your session. Often rowers have two pistons on each oar and this leads to uneven resistance on each arm. 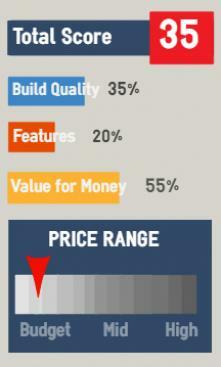 This model has just the one, so at least that's one less problem. Hydraulic rowers are the poor relative and have no advantages over the other types of air, magnetic and water/ fluid models. We've seen some pretty basic monitors out there on other budget rowing machines, but this one has to be up there on the podium for a reward - not a good one we're afraid. The screen is way too small to read while rowing. It displays workout time, strokes and calories (although it's only an estimate) but not distance. It does have the useful scan mode which shows each data set in turn for six seconds. But sadly, it still won't tell you much. While being in danger of repeating ourselves yet again when it comes to budget rowing machines (and especially Stamina models) this sort of machine is fine if you're going to be using other forms of exercise to get into shape. On it's own, this isn't going to help you achieve your fitness goals. It will give you 15 minutes or thereabouts of exercise, but if you're looking to a rowing machine to get fit, lose weight and improve your cardiovascular health - this isn't for you. See our recommendations below for alternatives. 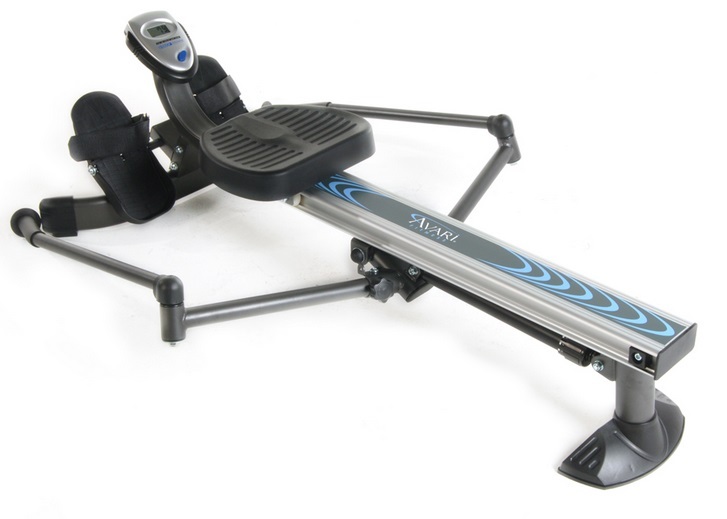 Short rail - forget it if you're over 5' 10"
If you're looking for a 'real' rowing action, the Kettler Outrigger is a superior machine but at twice the price. If price is a factor, Stamina's 1215 Orbital has the same action and is a better option at only $30 more. But if you're using solely a rowing machine to get fit you'll need to spend at least $700 to get a model to meet your demands. Start by looking at the Velocity Fitness, Kettler Stroker or something really different like the fluid rowers from the Prorower brand.